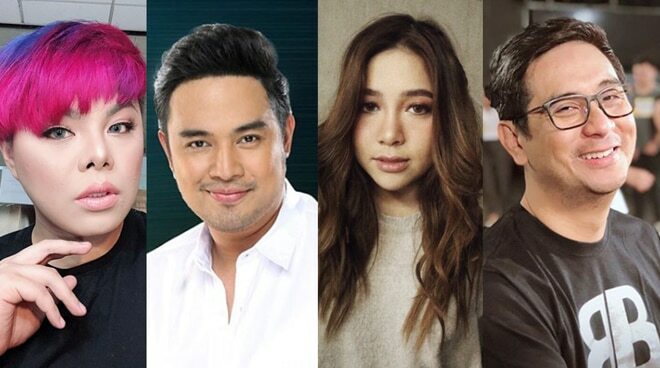 Jed Madela, Moira dela Torre, DJ Jhai Ho and Direk Lauren Dyogi were all in awe of this new KathNiel movie. These celebrities took to Twitter and Instagram how they feel after watching the world premiere of The Hows of Us last night, August 28, at the SM Megamall. Uulit ulitin ko itong #TheHowsOfUs 🎥🙌🏻👏🏻 Ang huhusaaaaaay Kath and DJP Grabe :) Hahakot kayong dalawa ng award dito! Daniel and Kathryn are gems! Congratulations with The Hows of Us!!! Had the privilege to attend the premiere of The Hows of Us at megamall tonight! I am a fan of Direk Cathy Molina and i love her movies; in this latest movie of hers, it is refreshing to see Kathniel in more mature roles and story .Very impressive portrayal by both Kathryn and Daniel. Napakahusay na pagganap pati na rin ng support cast, and its Darren Espanto's debut on the big screen! Congrats Inang Olive Lamasan , Direk Cathy , Vanessa and Star Cinema for this wellcrafted movie. Parang tuloy namimimiss ko nang gumawa ng pelikula. It has been 9 years. O well, for now may i all invite you to support Kathiel in this Graded A movie of Star Cinema. Its worth the trip of going to the mall to catch "The Hows of Us" starting tomorrow. In other news, the said premiere night was attended by a huge number of fans and celebrities like Maris Racal, Iñigo Pascual, Erich Gonzales, Sofia Andres, Jennylyn Mercado, Ina Raymundo, and many more. On Twitter, fan accounts posted videos showing that almost 8,000 fans came to see KathNiel at the event. Starring Kathryn Bernardo and Daniel Padilla, The Hows of Us is currently showing in cinemas nationwide.